Most of our awning systems can also be fitted with Infrared heaters for extra comfort under the Pergola® Awning. Many types of heaters and manufacturers exists that are weather proof and offers an efficient heat source. We recommend Solaira™ heaters. 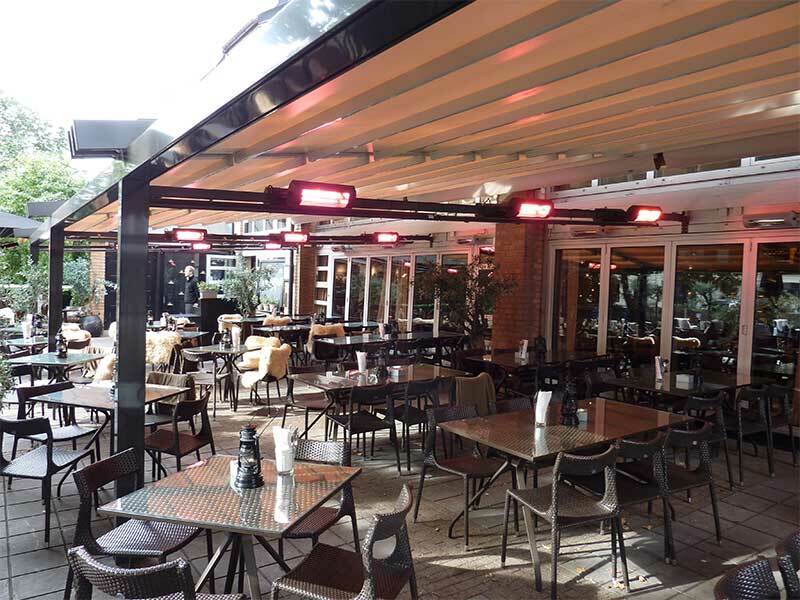 Their heaters are Ideal for both our commercial and residential awnings and low clearance installations such as under a Pergola® Awning.